Born in Brooklyn, New York, Ms. Abra Rudisill began dancing at the age of six in Altoona, Pa. She was formally trained at Ballet Del Monte Sol in Santa Fe New Mexico under the direction of Louise Licklider, a former New York City Ballet dancer. At the age of 16, after working with guest teachers Alexander Minz, Anna Marie and David Holmes, she decided on a career as a professional dancer with the encouragement of her teachers. After moving to San Francisco and spending a brief time at San Francisco Ballet School, she joined the San Francisco Dance Theater under the direction of Penelope Johnson and Jody White, where a creative and supportive confluence of teachers, choreographers and dancers influenced her burgeoning artistry. She then won a scholarship to the Joffrey Ballet Summer Program in San Antonio, Texas and later traveled to New York City where she studied with Robert Denvers and David Howard. While in New York, she was invited by Starr Danias and Douglas Wassell to join the Pavlova Celebration, a company dedicated to the performance of works choreographed on and for Anna Pavlova. Touring nationally and internationally with the company, she had the opportunity to work with Irene Fokine, Ruth Page, Alexander Gudunov, and Clark Tippet. 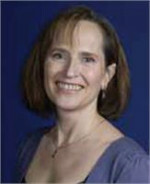 In 1982, at the invitation of artistic director Ronn Guidi, Ms. Rudisill joined Oakland Ballet. 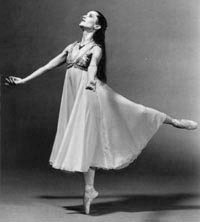 With the support and tutelage of Mr. Guidi, Howard Sayette, and Betsy Erickson, Abra became a prima ballerina of the company. She was blessed with an opportunity to dance in a unique repertoire that included ballets by John Butler, Lew Christensen, Agnes De Mille, Michel Fokine, Frederic Franklin, Kurt Joos, Eugene Loring, Jose Limon, Leonide Massine, Bronislava Nijinska, May O’Donnel, Anna Sokolov, Anthony Tudor, and Charles Weidman. In addition to having many roles created for her by Mr. Guidi, her favorite being Juliet which earned the accolades of “world class Juliet” and “the definitive Juliet” by critics! , Abra has also enjoyed working with contemporary and modern choreographers Mario Alonso, Carlos Carvajal, Val Canaparoli, Remy Charlip, Betsy Erickson, Emily Keeler, Alonzo King and Michael Lowe. In 1998, Ms. Rudisill was nominated for an Izzie Award in Outstanding Achievement in Individual Performance for her role as Caroline in Anthony Tudor’s Lilac Garden. In 2002 Abra retired from Oakland Ballet after serving twenty years as a principal ballerina and ballet mistress. 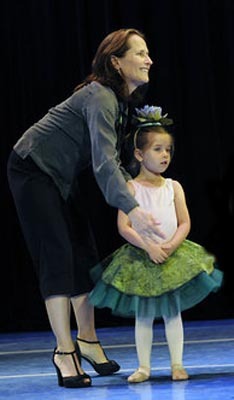 Ms. Rudisill was presented with a Shining Stars in the Arts Award for excellence in dance performance, scholarship programs, and mentoring youth by the Alameda City Arts Council in May of 2004. "I've been a student of Abra's for over 3 years and I love every minute of being a ballerina. Abra's the best. She wants us all to do well. The Nutcracker productions are the highlight of our class. Wish all my friends can be ballerinas with me!"